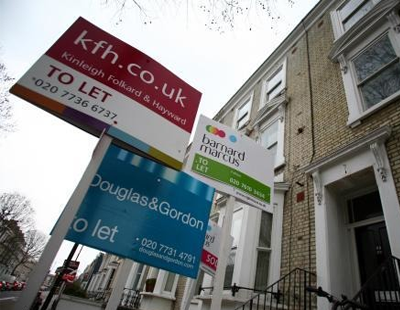 The BBC’s reality programme The Week The Landlords Moved In should act as an eye-opener for the lettings industry when it comes to the issues of communications, according to the Association of Independent Inventory Clerks. The programme, currently airing on BBC One each Wednesday at 9pm, reveals that a lack of communication between landlords, management companies and tenants is often at the heart of distrust and disputes between parties in the lettings process. The programme puts landlords in their tenant’s shoes, living in the rental unit they actually own and living on the weekly budget of their renter. Problems in the rental properties vary from mould and damp to broken windows and rubbish left from previous tenancies. Now the AIIC says the show should be a wake-up call to the lettings industry. "Arguably the most significant problem for tenants, landlords or those managing rental properties is a lack of communication" says Danny Zane, joint chair of the AIIC. "Tenants failing to report maintenance issues or their landlords or managers failing to deal with requests resulted in some fairly serious problems in these properties which could have been avoided with better communication" he adds. One landlord taking part in the show noted that he would no longer be going on the 'happy assumption' that tenants would call him if there was a problem. Alongside a lack of communication, another issue raised by the series is a lack of site visits and inspections. When the landlords taking part in the programme actually visited their properties, the true extent of some of the problems became instantly apparent. "Mid-term inspections and regular site visits to rental properties are essential," adds Emma Glencross, another AIIC joint chair. "If landlords and property managers can attend to problems quickly, this is better for the tenant and the long-term condition of the property. It's well-known that small maintenance issues left to get worse over a long period of time could end up costing a landlord a significant amount of money at the end of a tenancy." The AIIC says that the series highlights the importance of an independent, professionally compiled inventory which can be used by agents, landlords and other property managers when inspecting a rental unit during a tenancy to help them determine its expected condition and contents. An inventory is also invaluable at the beginning and end of a tenancy as it allows all parties to make a fair comparison of the property's contents and condition. The association says independent, third party inventories can help to reduce the chance of a formal deposit dispute taking place and in the event that one does occur, deposit protection schemes are likely to look more favourably on inventories and check out reports that have been produced impartially and professionally. Earlier this week the independent production company behind the BBC One series made an appeal for additional landlord case studies. The way that services in the property industry are delivered is changing. We have already seen this over the last three years and leading agencies are already embracing this. The way society is structured, we access data and above all manage our time, has changed and will continue to evolve, as “always on”, service on demand, becomes the norm, that is expected rather than sought out. Agents using client portal technology such as our Scorpio and Openview systems are now ahead of their competition and when supported by automation staff can be fully employed in cognisant tasks, thus providing superb communications in line with expectations and by any means, the client wishes to use. Giving complete transparency to all stakeholders in the property transaction not only makes great business sense and enhances reputation, but is now also essential in fulfilling compliance obligations under the law.